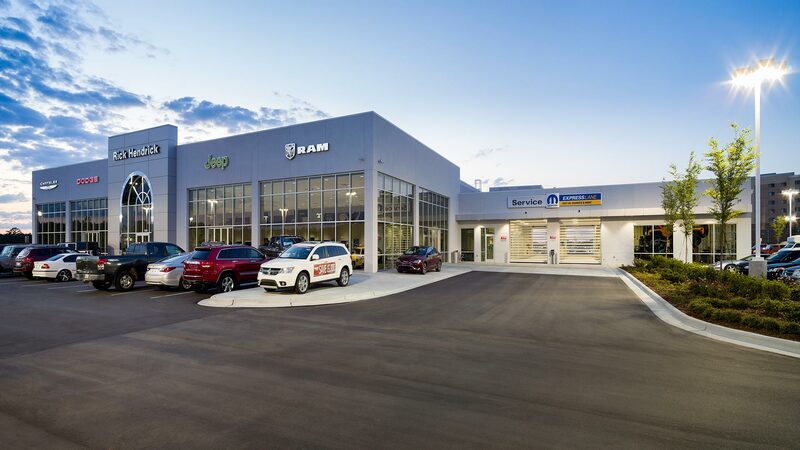 The Automall consists of a Chrysler/Dodge/Jeep, Fiat, KIA and a Volkswagen dealership. 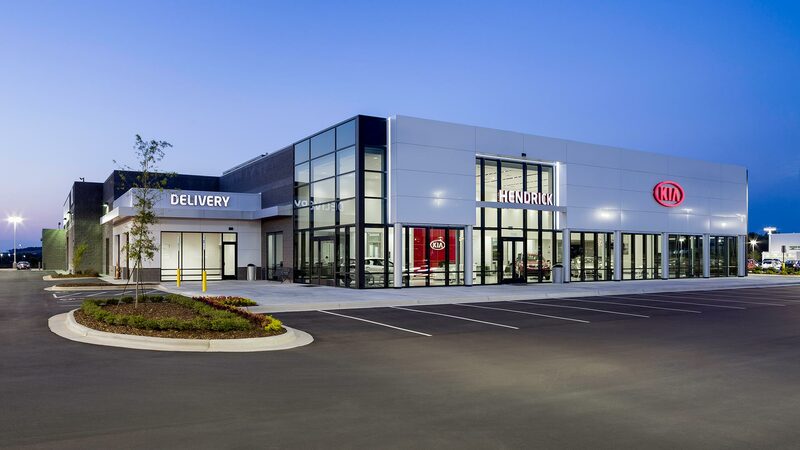 Each have frontage and display facing Bruton Smith Blvd, but their actual “front doors” are facing an internal boulevard that links the 4 dealerships together into one shopping experience. With similarly priced brands that cross-sell, there is no need to shop anywhere else. 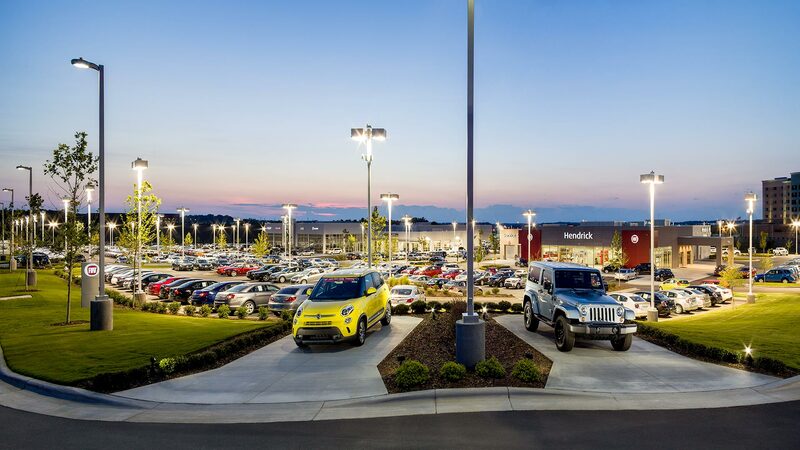 The boulevard provides a pedestrian link for customers to access each of the “outdoor showrooms” without entering the parking lot. This is all part of Hendrick Automotive Group’s “customer first” approach. This also translates through each of the 4 dealerships. 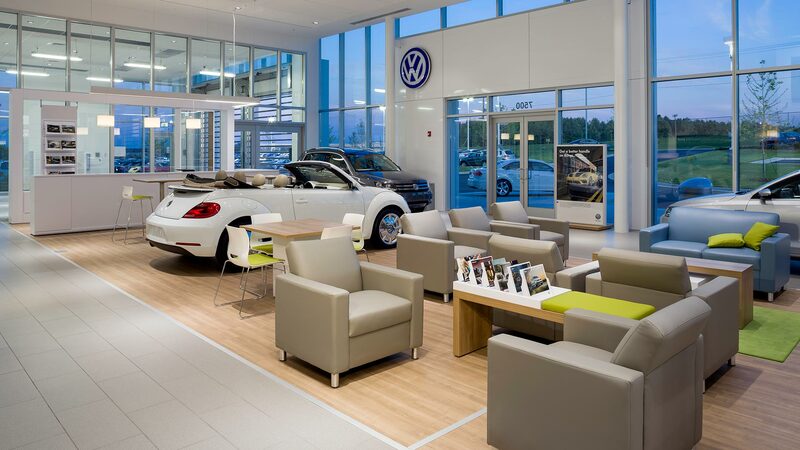 High-end finishes, comfortable lounge spaces and open planning allow for free movement around the store. 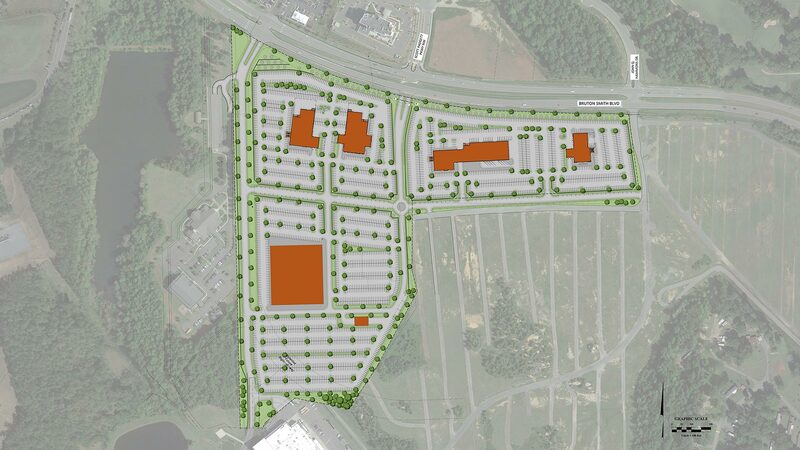 The master plan also allows for future dealerships to be added while maintaining the same goals of pressure-free shopping.